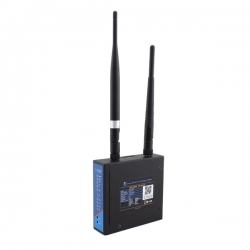 USR-G806 is an Industrial 4G wireless router, which provides a solution for user’s device to access 4G cellular network. It can worked in GSM / GPRS / EDGE / TD-SCDMA / WCDMA / FDD-LTE / TD-LTE. The 4G router support high speed network, easy to transfer videos, images or data. USR-G806 4G Router including different versions, choose the correct one in your order please.